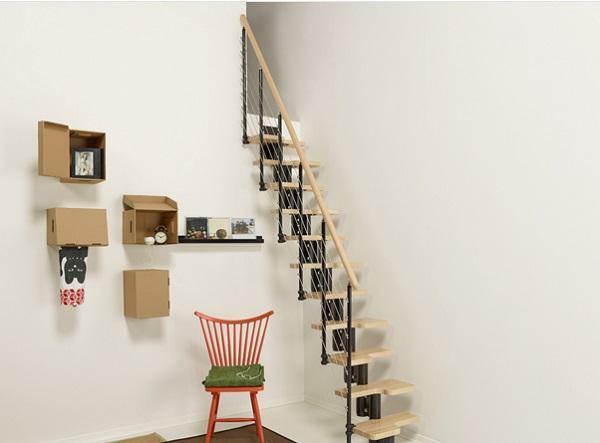 The space-saver mini stairs, with a small footprint can connect in a simple way, elegant and functional environments in mini apartments, lofts and attics. Designing stairs suitable for small spaces is quite easy since on the market are available various models of mini stairs for apartments with a simple design which, set once within an environment, can sometimes become a real piece of furniture. The company Fontanot has designed numerous collections of indoor space-saver stairs, in order to meet even the needs of the most demanding customers. For example, the stairs Mini Line which is part of the collection Pixima, is designed with dimensions suitable for the smallest spaces. It is made with painted steel supports and matching fastenings, characterized by 54 cm wide steps, solid wood carefully shaped and staggered, which allows the maximum accessibility with a small encumbrance. The railing is composed of varnished steel balusters and crossed stainless steel cables in 5 different possibilities. 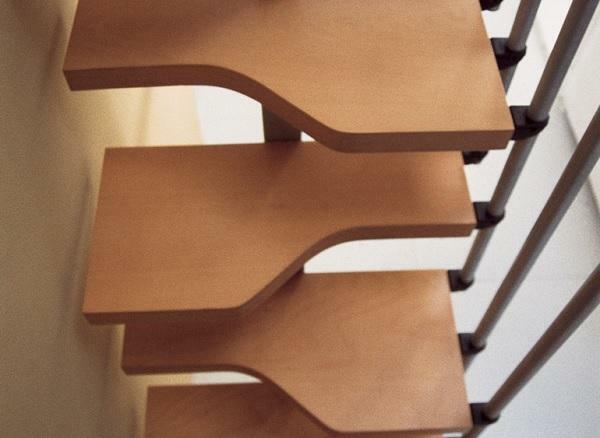 The wood effect handrail, is actually in PVC with an aluminum core and is available to match the shade of the steps. 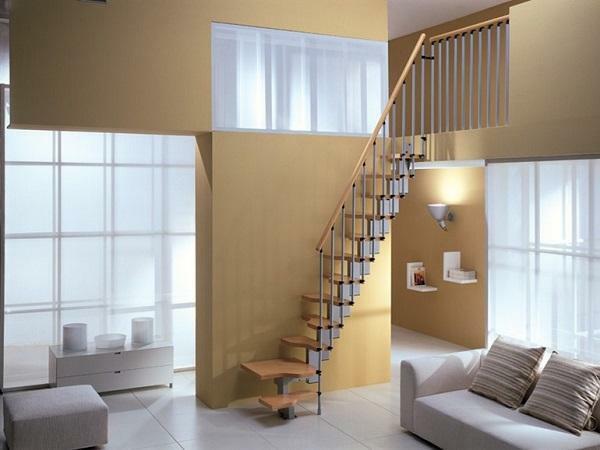 This type of prefabricated stairs, available in several color variations, is easy to install and is suitable for small flats, apartments and lofts. The stairs Pixima by Fontanot can be purchased in all Leroy Merlin stores, moreover, with the Online configurator by Fontanot, you can design for free and by yourself the Pixima stairs that best suit your needs. Again the same company offers another model of space-saver staircase, NICE4, a flight of stairs for small spaces, adjustable rise, tread and rotation. The structure of this model is composed of painted steel supports. The steps are made of birch plywood, with a thickness of 35 mm, assembled together with bolts. The railing is made of vertical columns, fixed to the steps, of the same color of the structure and a square section handrail in solid beech, in the same hue of the steps. Handrails and wooden steps are painted with water-based UV products, the maximum expression of technology in the field of paints, in terms of performance and environmental protection, as well as of our health. The result is an environmentally friendly material, non-toxic, natural to the touch, of fine finish, resistant to abrasion and aging. The painted steel is available in three different finishes and is subjected to a particular coating process with epoxy powders dried at high temperatures. This treatment ensures superior performance for color consistency and resistance to abrasion. Another company well established in the field of mini indoor stairs is RINTAL that in its projects uses the philosophy of creating the space where there is not. The models of mini stairs proposed by Rintal are basic but complete and point, as well as the design and technology, to achieve the impossible in terms of space. Every single element that composes them is studied as a function of a maximum use of space, to go up in extreme and prohibitive conditions even for a spiral staircase. All models are characterized by a minimal look for ease of use, functionality and freedom of movement. An example is Mini Plus, the nautical stairs designed to connect any type of environment in small spaces where it would be impossible to install a normal open staircase. It is characterized by a very small size, that can cover a level difference of 2.90 meters with a floor space of 1.5 meters. All without giving up comfort rise, quality of materials and a pretty low cost. To make stairs of this type we use the technique of staggered steps, which guarantees a greater bearing surface both during the phase of rising and lowering. These steps with a very particular form are made in solid beech wood finger joint and thanks to the particular shape allow to reduce to a minimum the overall dimensions without compromising the supporting surface of the foot, making Mini Plus a perfect staggered steps stairs. On this space-saver stairs model, it is also possible to install a landing which provides a greater support area and allows you to create configurations in L and U shapes by multiplying the possibilities of installation to accommodate the architectural features of the apartment. These stairs are available in various finishes for wooden elements ranging from transparent, in which is the wood being enhanced, lacquered. The same can be said of the colors of the structure always matching to the railing, all at moderate costs. Rintal offers a spiral model, Trio 180°, a particular space-saver stair of design, born from the collaboration between Rintal and Giugiaro Architettura to enhance smaller spaces. The modern, attractive design makes it unique among the stairs to save indoor space, which can rarely boast such a successful synthesis between functionality and aesthetic quality. Trio 180°, in fact, occupies half the footprint compared to internal helical or spiral stairs, allowing you to go upstairs in half the space, without sacrificing design. Its special shape allows not only to take advantage of any architectural space available but also to turn it into a beautiful and innovative design solution. This is possible thanks to the particular shape of the steps that reduce the tread without reducing the bearing surface of the foot. In addition, their sinuous and undulating shape favors the embrace of the winding structure, creating a very modern solution of aesthetic harmony that enhances the environment. 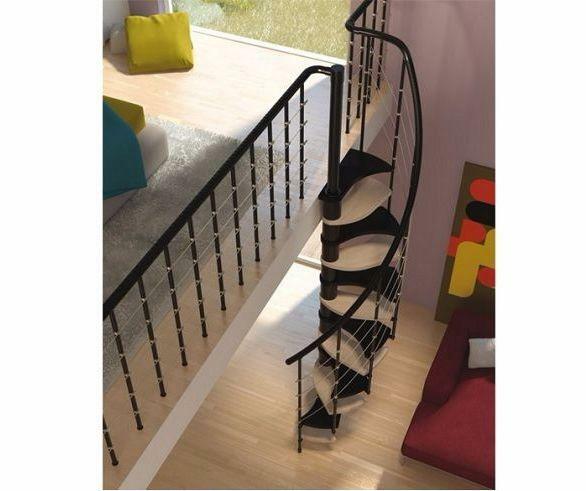 The mini spiral staircase Trio 180° is composed of a central pole, to which are attached the steel black painted steps, in combination with the moplen handrail and the railing Tube. The treads are in solid beech finger joint available in various finishes. They can be painted all the same color, choosing between the natural tones, or manufactured in the two-tone variant, choosing a color sample to alternate with the black, always present to maintain the harmony of colors. No other model space-saver stairs for lofts offers the same versatility of design: the exclusive design of Trio 180° thanks to Rintal Stair System, can be declined in several colors to make it consistent environment in which it is inserted. A solution not only practical and robust, but also of high aesthetic level, which allows to furnish small apartments with a high content of design. With Trio 180° a mini stairs for small rooms become a piece of furniture for contemporary spaces, able to meet all needs related to the functionality of the climb and the wishes of the design. 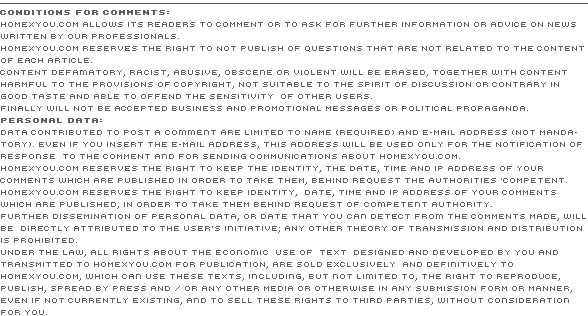 Valutation: 5.50 / 6 on 8 votes.